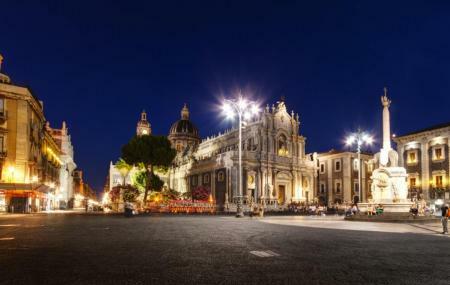 Piazza Duomo is the main square located right in the middle of the city. It is surrounded by many important places. On the eastern side is the cathedral, and on its north is the Town Hall, while on the other side is the fountain dell’Amenano. At the center of the plaza, is a lava stone statue depicting an elephant placed atop an obelisk in the middle of a marble fountain This entire structure is the official symbol of the city. How popular is Piazza Duomo? People normally club together Giardino Bellini and Fontana Dell' Amenano while planning their visit to Piazza Duomo.